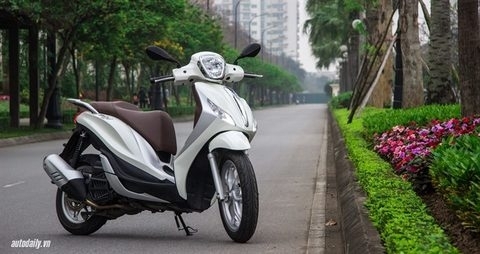 Piaggio Vietnam is recalling 3,335 Medley 125/150 ABS units to check and fix a problem related to a fault in the main frame, which can be seriously damaged if it carries goods heavily. The recall campaign for vehicles manufactured from February to August 2016 was launched after the Italian producer found a fault during periodic inspections of Piaggio Group’s quality control system. According to a representative from Piaggio Vietnam, no damage has been recorded in the Vietnamese market. The check of Medley vehicles under the recall will be free and an upgrade will enhance the rigidity of the main body. Piaggio Medley has invested in advanced technology with the anti-lock braking system; however, sales of this model are not as expected. Since its launch in Viet Nam in March 2016, the firm has witnessed only a few months of impressive sales. Numbers have declined dramatically since the beginning of this year. Piaggio Vietnam does not announce the sales figures for each specific model, however, retail sales figures from the Vietnam Automobile Manufacturers Association showed that the firm sold more than 23,000 units in the first nine months of this year. Medley is currently the lowest selling car of Piaggio Vietnam.